Do you suppose that life for a tooth fairy is safe and uneventful? Well think again. Have you ever been chased by a fox, stalked by an owl, raced rabbit's, ice skated on a frozen bird bath, gone swimming in the garden fountain and been captured by the Gardener and locked in a doll's house? It's all in a day's work for the Bramblefrost fairies, which live in the giant hedgerow that surrounds Bramblefrost Manor. They have lots of adventures whilst collecting teeth from the children of the local villages. We follow the adventures of two boys called Muddy, and Twotone, and two girls called Shade, and Shimmer. We watch as they learn all the ancient ways, under the ever watchful eyes of Granite the fairy elder of Bramblefrost, arts that at one time they shared with us when we had eyes to see and ears to listen. Watch as they learn about nature, and how to respect it. Learning spells that will help them in their tasks, and learning about healing plants and potions. Most of all we will see a world that we think we will never get a chance to visit, and yet this world is all around us if only we know where to look. PLEASE PLEASE PLEASE share our posts on our Facebook page. 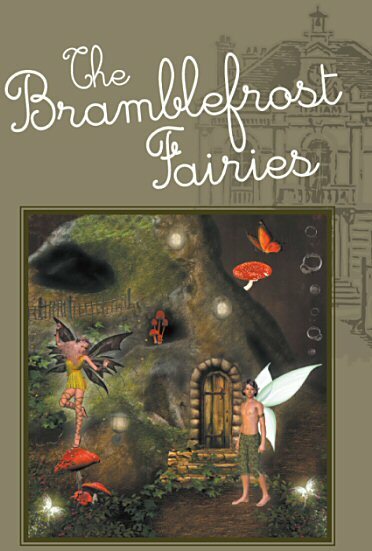 Why not pop over to YouTube and watch Clare's introduction to The Bramblefrost Fairies. Available from these fine book sellers. You can email Clare, or the Bramblefrost Fairies, via our on-site Contact Form. Copyright © 2019 C Fower. All rights reserved | Web Site Built By PG54 Ltd.